If you are trying to find out how to give an effective MLM business presentation, you are in the right place. I’ve been involved with this industry for almost thirteen years now, and I have to tell you that most distributors over-complicate their business presentation. And other distributors never really get started, because they fear giving a presentation to someone else. The key to success in this industry is to keep things SIMPLE. My best tip I can share with you is to never give a business presentation yourself. Always use third party tools, such as a video, webinar, three-way call, in home party, hotel event, or something else to do your presentation for you. When you take YOU out of the equation you keep things simple and give your prospect belief that they could do what you do. That being said, if you’re still set on doing presentations yourself, there is a right way and a wrong way to do it. In the paragraphs below, I want to share six helpful tips to teach you how to give an effective presentation for your network marketing opportunity. These are things I’ve learned mostly through trial and error. The biggest mistake that distributors make is not qualifying their prospect BEFORE they give them a presentation. If you were selling houses, you wouldn’t give a presentation to a homeless, unemployed person who wasn’t looking for home, would you? When it comes to MLM, you need to qualify your prospect before you give a presentation. In other words, you want to find out if they are looking to start a business, if they are looking to make some extra income or even replace their full-time job income. You also want to know if they would potentially be interested in your products. For example, if you try to sell a coffee product or opportunity to someone who doesn’t like or drink coffee, you are wasting your time. If they aren’t qualified, don’t waste your time doing a presentation. Just doing this one step alone can save you lots of time. After you have qualified someone first, you can then proceed to the next step. At the beginning of your presentation, make small talk with your prospect. Ask them a few questions about themselves. Find out about their background and what their goals are. Are you looking to make extra money? Could you use a Plan B? What type of business could you see yourself doing? Your goal is simply to break the ice and introduce yourself to each other. Spend at least three to five minutes making small talk. This helps you warm up the prospect. You don’t have to draw this out for hours and hours. You just want to show a genuine interest in the person before you start trying to sell something. Do not use the same cookie cutter presentation for everyone you talk to. Rather than doing that, tailor your presentation “slightly” to match the person’s hopes, needs, wants and desires. You can still share the same basic information, but make sure you modify it slightly to match up to the person you are showing it to. For instance, if someone tells you they are looking to make a full-time income, tailor your presentation around making a full-time income with your business opportunity. And if they are interested in making $500 to $1k per month, show them how to do that. If you ask questions ahead of time and make some small talk, you will get this information from them so you can tailor your presentation. Do not, and I mean NEVER do a one to two hour presentation. You will overload your prospect with information and they will never join your team. At a maximum, keep the actual presentation to about 15 to 30 minutes. Keep it short and sweet and to the point. Respect the other person’s time. Remember, you don’t need to tell your prospect EVERY SINGLE THING about the company, products or compensation plan. You want to give them an overview so they can make an informed decision. If they want more information AFTER your presentation, than by all means give it to them. I’ve been to some business opportunity meetings in the past that lasted one or two hours. This is a big NO NO. Remember, most folks have a short attention span. Plus, most folks are busy and don’t have one or two hours to sit around and hear about a business opportunity. Keeping it to 20 minutes or less is a good goal to shoot for. Business tools are your friend. If your company offers a short video, audio, webinar, or brochure, use that as your presentation. Let the tools do most of the selling for you. This lets you work smart and gives you added credibility. Personally, I refuse to show a business presentation one-on-one. I send people to a short video, audio or webinar. This frees up my time so I don’t have to drive all over town to show the plan. You need to remember that your prospect is watching you. This is where third party tools help you out. Even your most serious prospects will normally have several objections and questions. Answer the objections and ASSUME the person will join your team. Have a sign up kit with you and help them get started. Don’t pressure or try to convince them, but overcome their objections and LEAD them to the decision you want them to make. You see, I’ve found that most people don’t know how to make a decision. If you don’t tell them what to do, they won’t do it! Just assume they are going to join your team or become a customer and take them to the sign up page online or fill out the distributor agreement together. BONUS TIP: Remember that your prospect is always watching you. If you make things overly complex, they will never join you because they will think to themselves that they could never do what you do. So keep it simple, short and to the point. In summary, these are my six tips to give an effective MLM presentation. If you want to achieve success in your network marketing business, you need to give lots of presentations to qualified prospects. You need to make sure that the presentation is tailored to the person you are talking to. Utilize the company’s tools when you can and assume that each person will join your team. Overcome their objections and lead them to the decision you want them to make. What tips can you share with us about giving an effective MLM presentation. 2) A ‘defense’ of network marketing in the initial presentation, by putting up reasons as to why the business is not illegal or a pyramid scheme. This often makes prospects consider things they never had even first thought about. Chuck, I do agree that tools that save you time and money are the best way to go. A good sharp video presentation (under 15 mins) followed up by a prompt meet up if possible is the way to go for me. Keeping it short and sweet is the way to go. I agree 100% “The truth about MLM” is that it must contain true “value” in order to survive. I use a video my company provides to give a good MLM Presentation. The video is 22 minutes long and explains everything the prospect needs to know. I simply sit down with my prospect, put the DVD in, and watch it with them. At the end of the presentation I answer their questions and sponsor them if they are ready. The best thing is this approach is so easy to follow. I have everyone on my team doing it. I totally believe using video is a great idea. In my opinion, I think that if your MLM doesn’t have these available it may be in your benefit to develop your own. If they work well, depending on the rules of the MLM you are with, you may be able to sell them to others in the business as a tool. This would create another stream of income. The only negative with video is not going after the exact needs of the prospect, that is why it should be generic and you as the sponsor will go after the “deep” subjects after the short video. Videos are a great way to give a presentation if it is short and to the point (about 10 minutes). The last thing you want to do is send your prospect to a 30-60 minute video that just overwhelms them with information. Whenever I give a MLM Presentation, I send people to a recorded webinar. I’ve found it just takes too long to all your presentations one on one, or face to face. You should leverage technology to free up your time and work smart. By all means, qualify the prospect first, but then send them to the presentation. After the presentation is complete, follow up with them to answer their questions and help them get started. In today’s world, there’s no reason to meet face to face to give a presentation. With the price of gas, and the time it takes to drive around, I would suggest using technology instead. Eduardo, many people would prefer to have access to initial information online first, before they schedule a meeting. As you said, the price of gas and the opportunity cost of time spent can sometimes make a difference in whether or not someone is even open to learning more. I would, however, keep in mind that an online presentation should be an introduction, with some information and attention-grabbing material, but not everything. The online presentation will have to leave them wanting more, and not everyone is skilled at creating this kind of interest. Face-to-face meetings have tremendous, irreplaceable value. For one thing, it is difficult to create a relationship with an online presentation, and relation-ship building is important. I would be curious to hear from you again about whether or not you have tried online presentations, and what the results were. This seems to be a great strategy and one that is preferred by many on the receiving end. I also give people access to a link where they can hear/watch a recorded presentation on their on time and I pair that with a pamphlet that contains additional information that they can look over. Then on their own terms they are able to contact me whether it is for more information or for a one on one meeting. I never want someone to be pressured or bored by what I have to offer so by allowing them to access the information when they are ready I save time and energy. Qualifying my target market or prospect I find is the hardest thing to do for some reason. But you’ve given some great tips here. Much appreciated Chuck!! It is hard to take the time and qualify someone before you show a presentation. 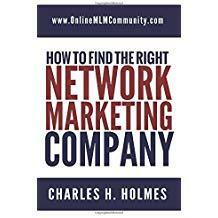 Most of us get so excited by having new prospects that we want to rush into our MLM Presentation right away. It takes discipline not to do that. If you just start showing your presentation to everyone you meet you will wasted a lot of time and you won’t sponsor many people either. Just my thoughts. I agree it takes time to properly qualify a prospect. I like your use of the word “discipline,” Chuck. It does, indeed, take discipline to have the patience to build rapport and understanding to determine if your prospect’s needs and wants are inline with what you offer. Can you work with each other, communicating effectively, to a common end result? Are there any red flags raised that will make the potential partnership a waste of time for both of you? It is important that the relationship work well for all parties involved. When you’re giving a MLM Presentation, you need to take time to qualify them first. It’s not hard to do. Just ask them a few questions about their background, their goals, their interest, etc. Find out what they are looking for and see if your business or products can help fill that need. It it can, give them a complete MLM Presentation. If it can’t, go find another prospect to talk with. I think it really is important not to overload prospective clients as Chuck says. A little interest could become enough to make a purchase with the right words and sentiments, but coming on too strongly or overwhelming your target will invariably lead to a no-sale situation. Giving a good presentation is an art. The only way to learn is through real world experience. It takes time to learn: probably a couple years. But once you have it figured out and can do an effective MLM Presentation, the sky really is the limit. I agree James. Sometimes we try to provide prospects with everything we know that took us years to learn. This becomes an overload and they will think it is too much. It is best just to “hit” the fine points, and let them learn as you did. If you do your job as a sponsor correctly, you will have the time to teach them all the other things as time goes by. Great point James. Do not give information overload! The less you say the better. Be short and to the point. Your prospect can learn more as they become involved. I agree that keeping a MLM presentation to 20-30 minutes or less is best. You want to make sure you get your point across, but in a concise manner so that the prospect does not suffer from information overload. It can be tough for people like me who enjoy talking, but you have to remember what your goal is. Impart information to the prospect in a manner that will get him/her interested. Once you start rambling on the person will lose sight of the main points and you more than likely will not nab your prospect. Short and to the point is the way to go. Don’t give your prospect information overload. At the end of the presentation, if they have questions, by all means take the time to explain it to them. But don’t bombard them with so much information they get overwhelmed. I’ve seen presentations where people showed interest and would have signed up, but the person giving the MLM Presentation kept talking, and talking, and eventually changed the prospect’s mind for them. Don’t do that. If the prospect wants to sign up a minute into your presentation sign them up!